Asia’s leading travel trade show, ITB Asia 2017 has completed its milestone anniversary event with record-breaking numbers. The tenth edition of ITB Asia came to a close today at the Sands Expo and Convention Centre, Marina Bay Sands in Singapore. Over three days, the event hosted about 940 exhibitors from 113 countries, an 11% increase over the previous year. ITB Asia 2017 also welcomed its strongest ever buyer participation, across the Corporate, MICE and Leisure sectors. Since 2014, ITB Asia has experienced a 1:1 ratio for exhibitors and buyers. This year, there were over 22,000 business appointments recored during the show. Unveiling its largest exhibitors showcase yet, ITB Asia 2017 reported a spectacular 77% growth from its inaugural edition, featuring new exhibitors such as the Rwanda Development Board, Tourism Tunisia, Promote Iceland, Tourism & Foreign Affairs Department of Almaty City, Republic of Kazakhstan, Jeju Convention and Vistor Bureau, amongst others. Exhibitors also invested more in the quality of their booths, with Greece, Japan, Russia and Korea putting up impressive and engaging experiences. 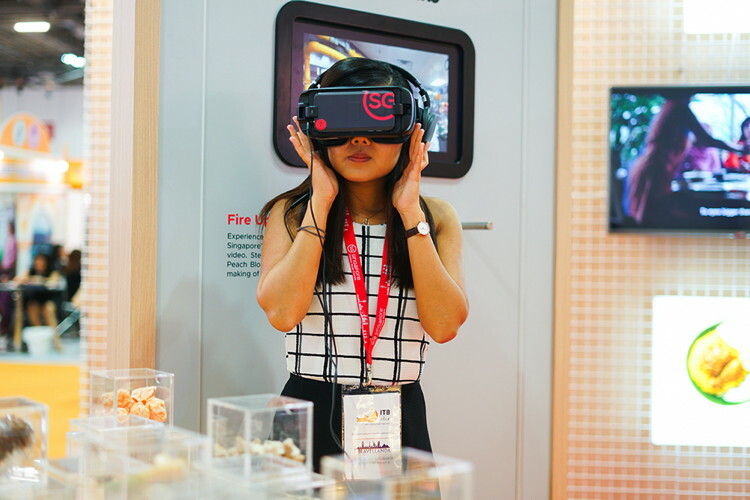 This year’s conference programme looked at the role of technology, setting the tone for the changes that the industry is likely to see in the next ten years. Speakers from big names IBM Asia Pacific and Google delivered insights on the potential of Artificial Intelligence, Ctrip presented its global strategy, while fast-growing start-ups Hiverlab, Zebra Design and Savioke shared on the exciting realities and opportunities for augmented reality and virtual reality in hospitality and tourism. “In view of ten years of ITB Asia, we’ve taken every effort to celebrate the past as well as to provide attendees with a useful view to the future. While we are very pleased with our achievements in terms of the quality and numbers, what brings us most satisfaction is bringing together all the different stakeholders across the industry to network and inspire each other. The relationships built and strengthened over the years will continue to boost our efforts in making ITB Asia the region’s go-to event and a hub for unforgettable content and enriching experiences for many more years to come”, said Katrina Leung, Executive Director of Messe Berlin (Singapore), the organiser of ITB Asia. ITB Asia will continue to be held in Singapore, following the past ten years of consistent support from the Singapore Tourism Board and the Singapore Exhibition Convention Bureau. Following this year’s successful show, ITB Asia has received the highest exhibitor rebookings for ITB Asia 2018. As early as now, the surge in interest for next year’s show has been seen from destinations such as Greece, Turkey, Mongolia, Finland, Norway and Iceland, as well as continued strong support from Asian markets such as the Philippines. ITB Asia 2018 will be held from 17-19 October 2018 at Sands Expo & Convention Centre, Marina Bay Sands. Interested exhibitors may email exhibitor@itb-asia.com. Are you with ITB Asia? If you are a member of ITB Asia you may be interested in learning how to optimize your content on our network.